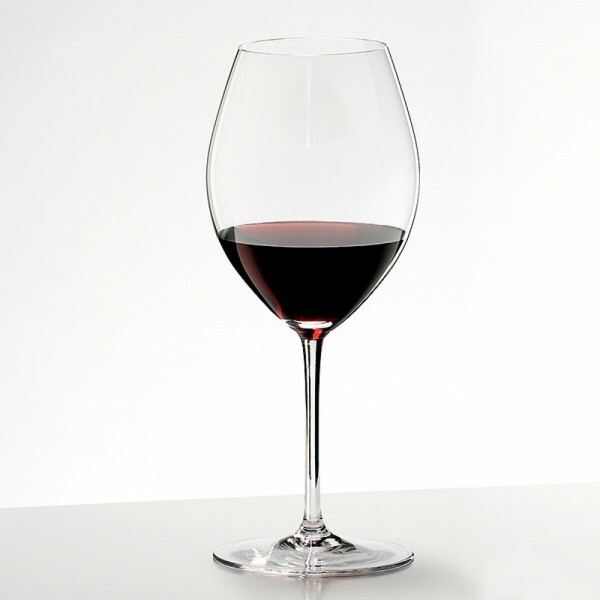 Riedel Sommeliers Hermitage Wine Glass (P/N 4400/30). Georg Riedel believes that the majesty of Syrah merits its own special glass. Wine specialists designed this alternative to the Burgundy glass for serving Syrah. The broadest part of the bowl is directly centered between base and rim to better waft the telltale aroma of toast and black olives to your senses. The nearly-black shade of Syrah comes alive with flashes of violet and dark red through crystal-clear 24% mouth-blown leaded glass. 9-1/4" tall, with a maximum capacity of 21-7/8 oz. for an average serving size of just over 7 oz. Slightly more symmetrical shape than other Riedel glasses intended for Syrah, for greater visual appeal. The Sommeliers line was the very first to tailor design specifications to individual varietals.